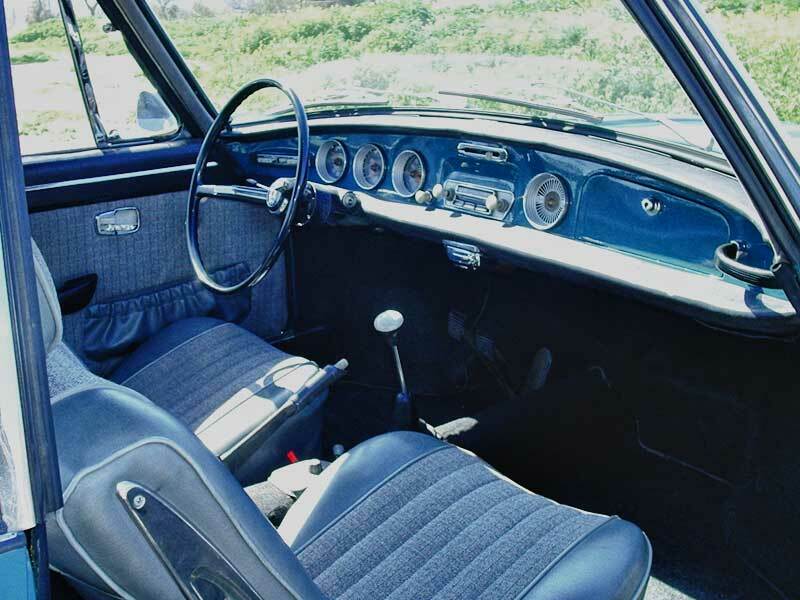 It is a 1964 model. 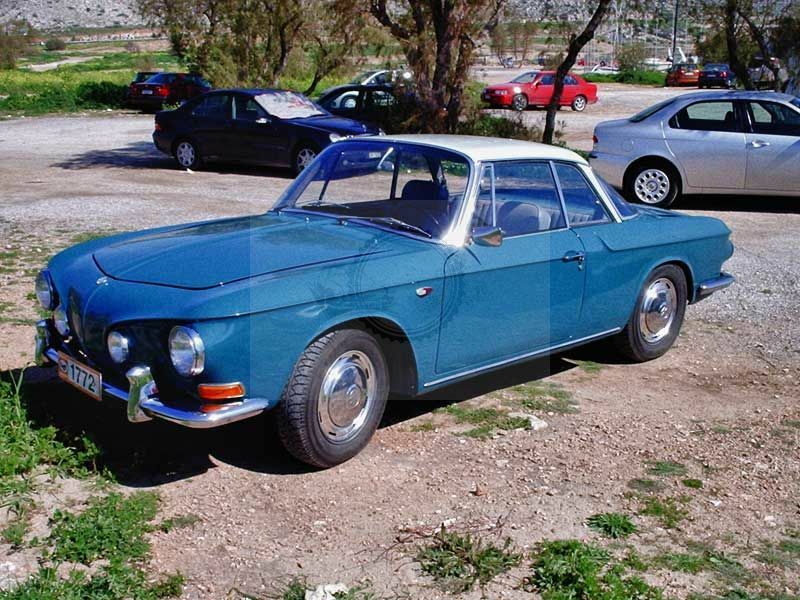 The previous owner, father of an old friend, bought the car in 1968 and imported it to Greece from Germany. I have a photo from the first day it arrived in Voula, a suburb of Athens by the sea shore. My friend, a 5-year old girl at that time, is sitting proud next to it with her sister! As years go by, the owner stops driving the car and when I am invited to their house I see it parked under a tall pine tree. Then, in 1995, I inform my friend that if they want to sell it I am interested. A year later they try to refresh a bit the car in order to make the elder father drive it again but he shows no interest so I get informed that I can make an offer and the still wonderful type 34 comes to my posession in 1997. I kept he car in the current state for a couple of years, driving it around Attica and eventually I had the time and cash for the major repair I had planned: I drove it to the car body repair shop I trust for an almost ground strip off and repair. It took 6 months to check that every inch of the body had no rust. Only 1-2 small areas needed treatment (behind and close to the rear bumper). We also found out that it is 100% collision free. 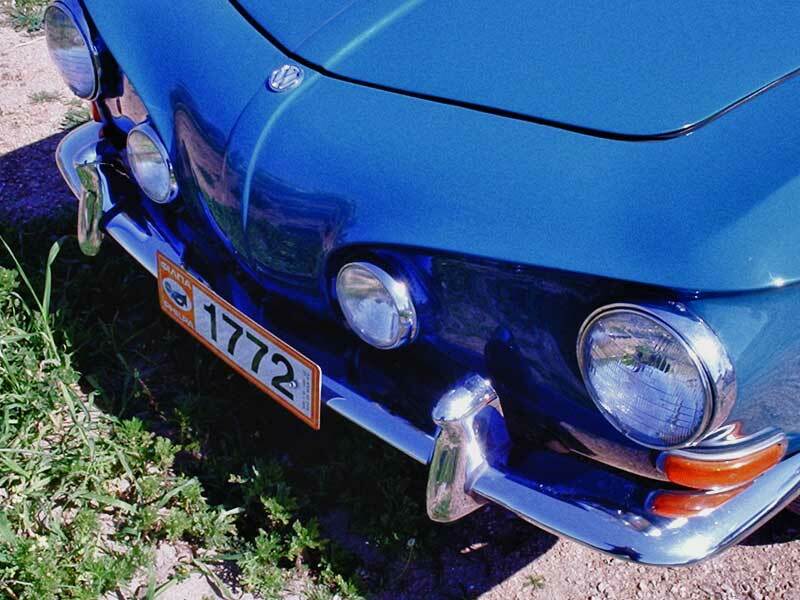 It was painted with the original VW colors, “sea blue” and “arctis” the correct ones for this body number. All the windows and doors trim and rubbers were bought from Hackner and replaced together with the small missing or no original parts that found their way through the years. An engine overhaul was no less important. My VW mechanic, known from the work he has done to a couple of beetles I owned (1958 and 1973 models), did this job also. We did a crankshaft overhaul, line-up the big ends, change camshaft, cylinder-pistons, valves, springs, clutch etc…Small corrections were made to the electric equipment like a generator and starter rebuilt and change of the multi-switches left of the steering wheel that were replaced with after-market ones. Since then I have done around 10 k miles (the odometer reads 500 miles now, first 100k turn from new). 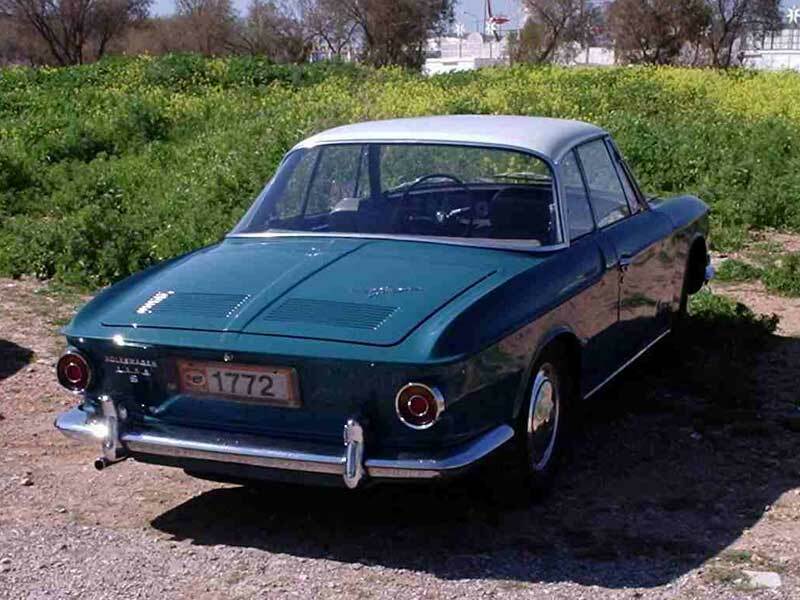 I take it out for short tours by the coastal road to Sounion (Attica’s edge) on Sundays or participate in classic local regularity rallies and events. I have faced no problem at all, not even a fail of a lamp. 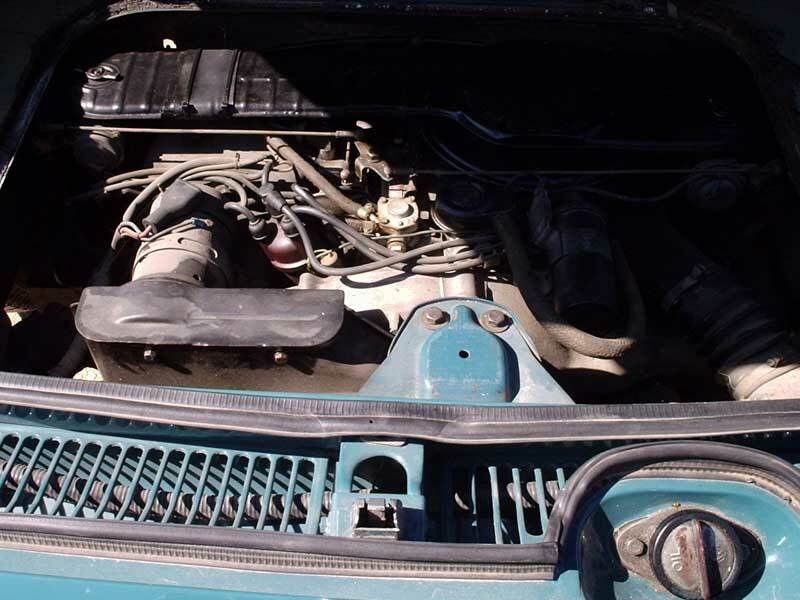 Because the car is regularly serviced it runs smoothly and provides plenty of driving pleasure. It rides and brakes correctly, and its cornering is surprisingly neutral. The lights are strong which helps navigation during the night, the ventilation-heater work well so windows de-misting is quick and It has very good all round visibility, thanks to generous glass surfaces. In other words it is a pleasure to drive, and ready for trip of any length. It is certified, FIVA class A2. Reason of selling it is the fact that it is now a finished project for me, after owning it for 16 years. A restorer always looks for new projects.